White-knuckled, hip shakin' rock'n'roll with a fat backbeat and thumping double bass is the name of the game for Doubleblack. Entertaining and a helluva lot of fun, Doubleblack deliver a high intensity show, honed from years of performing. Guitarist Matt Black is ex Fireballs & Fez Perez, and drummer, Travis Demsey is ex Living End, so if you want rock‘n’roll pedigree, Doubleblack has it in spades. 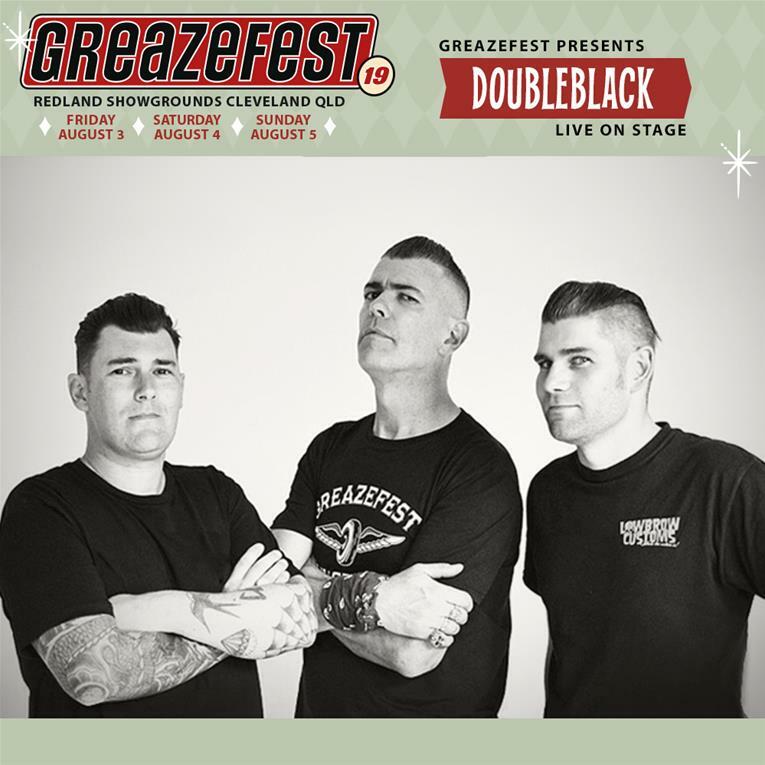 GreazeFest is where Doubleblack call home and they’ll be back this year to perform on Saturday night (Aug 4). Advance discount tickets are on sale now.